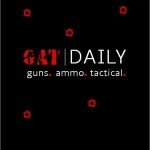 The survival-gun market has been overrun with as many calibers and options as there are personal opinions on the topic. But Italian firearms manufacturer Chiappa is approaching the game from a different angle. Chiappa’s X-Caliber folding break-action shotgun/rimfire combo is capable of firing up to 12 different calibers. Have we finally found the perfect survival gun or more fodder for the bug-out forums? Reminiscent of Chiappa’s Double Badger platform, the X-Caliber is an M6 12-gauge smoothbore 3” chambered shotgun over a .22 long rifle barrel. Barrel length of 18.5 inches makes it a wieldy weapon, even more so when folded nearly in half and measuring the same 18.5 inches. When deployed, the gun’s overall length is 34.6” with a svelte traveling weight of 5.6 pounds. Though our test gun came with a 22LR lower barrel, a 22WMR version is also available. MSRP on the X-Caliber combo is $949 with online prices currently hovering around $775, though not so easy to come by. 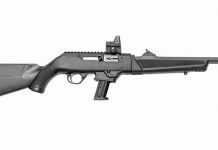 The X-Caliber’s steel and polypropylene stock immediately set it apart in appearance with a love-it-or-hate-it reaction. The gun fires with double triggers and has dual extractors. The X-Caliber wears a fixed front fiber-optic sight and windage/elevation adjustable M1 style rear. There’s a top tang safety and three picatinny quad rails for mounting optics and accessories. The entire gun is matte black and unassuming. What really sets the X-Caliber apart is what gives the combo-gun its name: the included pack of eight fully-rifled steel adapters allowing the firing of 12 different calibers. The set of eight adapters are as follows: .380ACP, 9mm, .357/.38SPL, .40S&W, .44 Mag, .45ACP, .410/45 Colt, and 20-gauge. The adapters come packaged in a portable, olive drab belt pack. The X-Caliber combo gun folds small enough to fit into any backpack, and is accurate enough to get the job done. We fired 2-3/4” and 3” 12-gauge shotgun shells with less felt recoil than expected from the light, small-framed weapon. The .22LR lower barrel performed well and accurately. When we opened up the barrel-insert-pouch and covered the shooting bench with all the types of ammo the X-Caliber could shoot, we realized the true potential of this survival gun. Ammo scroungers rejoice—this gun can handle much of what you’ll find. 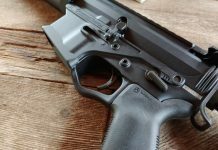 Though the stock is marketed as being ergonomic, in actuality, we found it to have a rather uncomfortable cheek weld given the steel/polypropylene combination. With a little practice, you can get accustomed to the fit and shoot it well. On the upside, the stock design was well-thought out and has housing for five rounds of 22LR and 2 rounds of 12-gauge ammunition, as well as the included cleaning kit. The stock’s structure is made of steel, but the addition of polymer is intended to reduce weight for extended carry in survival situations. We’ve seen numerous online armchair quarterbacks suggesting the pre-formed polypropylene-polymer-filled stock is sure to fail, though we put the X-Caliber through months of use and abuse including submerging the stock in water, the freezer, hot climates, rough handling, and rain. The company’s website states the polypro “is a thermoplastic polymer used in a wide variety of applications including automotive and furniture and is unusually resistant to mechanical stress and surface wear” and we found this to be true. It has been surprisingly resistant even to scarring and is very dense. In fact, after all our use and purposely banging it around, there’s not a mark on the stock. Sling swivels on the front barrel band and buttstock make carrying via sling a sure option. The three picatinny rails allow ample space for mounting optics, lights, or other accessories. Accuracy with all ammo choices was above our modest expectations. In fact, we quickly felt comfortable knocking down bowling pins at 50 yards offhand with each caliber option. After mounting a red dot optic, 100 yard accuracy remained well within the kill zone of most vermin and even better for bigger game. While trigger pull is nothing special, both were again better than expected and more than adequate for the range capabilities of the gun. The included adapter pack is the ace-in-the-hole for the X-Caliber. The olive drab belt-pack keeps the rifled tubes separated and can be accessed from the top while on your belt or it can be unsnapped at the sides and laid open flat. Should the need arise, one of the most interesting features is that the adapter tubes can be used in pretty much any single shot 12-gauge shotgun, regardless of manufacture. In fact, users can purchase the adapter packs separately from Chiappa. Buying just the adapters will set you back $450. The inserts all fit snugly inside the shotgun barrel both hot and cold, and were quick and easy to swap. It is important to realize, however, that cartridges fired from the tubes must be hand extracted. Though the manual shows that users can use something like a screwdriver for stubborn spent casings, we did not find any need for that through several hundred rounds of firing. They were easy enough to pull out by hand. Each tube is well marked for caliber and 12-gauge barrel pairing. The only knock on the adapter pack is its weight. At just a hair under five pounds, it’s on the heavy side for all-day wear but then again, well-built steel adapters come at a heft trade-off. Though we didn’t necessarily find beauty in the design of the X-Caliber, I don’t believe that was the intent. It’s a utilitarian combo gun made for ammo pickers and hard times. Is it the most comfortable cheeking shotgun in the world? Far from it. But the X-Caliber did everything we asked of it and then some. Though not a target tackdriver, it is plenty accurate to take both small and larger game at reasonable ranges. After spending almost six months with the weapon, we like to warmly think of the X-Caliber as a jack of all trades but master of none. But in the survival world, sometimes that’s just perfect, because you don’t know exactly what you’ll need. No matter your preference in survival weapons, the Chiappa X-Caliber is a viable player in the industry with multi-caliber options. 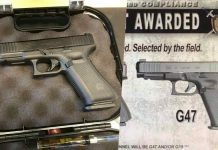 Price may hold this firearm back from its full promise, but bug-out planners take notice. With the potential to accurately and reliability fire 12 different calibers from one mobile platform, ammo scroungers in SHTF scenarios rejoice. 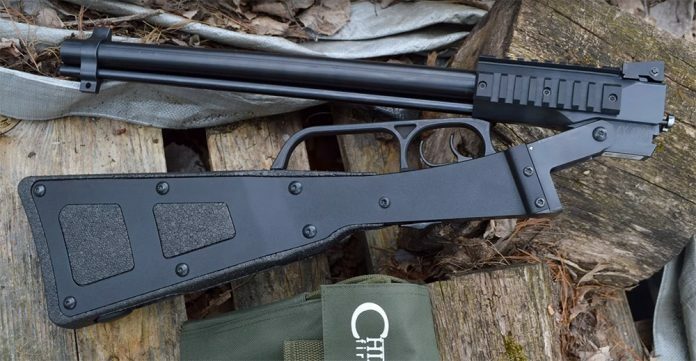 The Chiappa X-Caliber is changing the way we think about survival guns.